In this article we will discuss about Hire Purchase and Installment Purchase System : Meaning, Features, Types and calculation Formula. There are different methods by which goods can be sold means ownership or Possession of goods will be passes from one person to another i.e seller to purchaser. 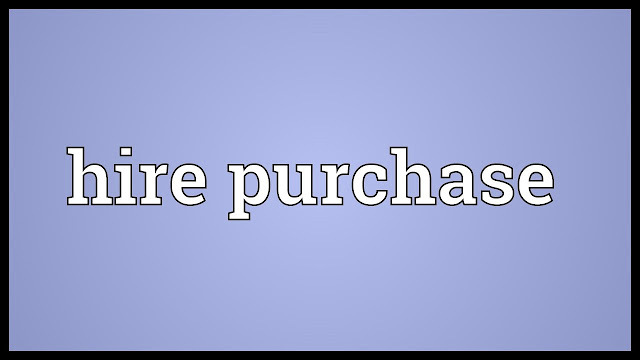 Goods can be sold for cash in which seller passed goods to purchaser and purchaser make payment in cash at the time of taking. Goods can be sold on credit basis in this case ownership or possession transfer immediately to the buyer but they make payment after time or on installments. 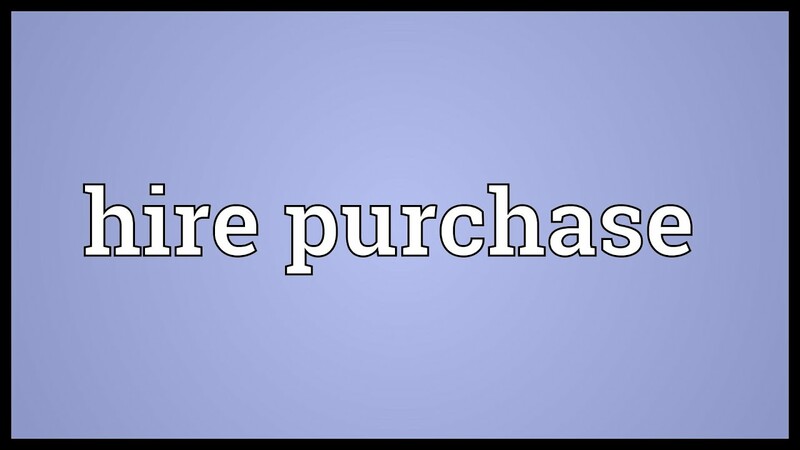 Under HIRE PURCHASE System, the buyer acquires ownership of the goods immediately but make payments on installments maybe it is on monthly basis or year basis.In case if buyer fails to make payments on the the seller having right to repossess these goods and forfeit received amount as hire charges.If they make all payment on time seller don’t having right to repossess these goods. This system is advantageous both to the buyer as well as to seller. HIRER : It means the person who obtain delivery of possession of goods from the owner under the hire purchase agreement. HIRE : It means sum payable periodically by the Hirer under agreement. Hire Purchase Price : Total sum payable by the hirer under hire purchase. Net Hire Purchase Price : Total amount payable under hire purchase .If following price is included shall be deducted to determine net price. (1). Delivery expenses. (2). Fess in respect of goods sold. (3). Cost of Insurance. Hire Purchase and Installment Purchase System : Meaning, Features, Types and calculation Formula. That amount which is paid at the time of taking delivery of the goods or signing under hire purchase or installments. Installment :Installment : The amount which is inclusive of interest together with principal amount paid periodically as per agreement. Where, SC = Statutory Charges CI = The amount of Cash Price Installment. R = The rate 10% or higher as maybe determined by central Govt. in consultation with RBI. T = Time. A reference to annuity table where in present value of the annuity for a no of year at a certain rate of interest is given, cash price is calculated by multiple of installment and addition on down payment. Cash Price = Installments × Ref. 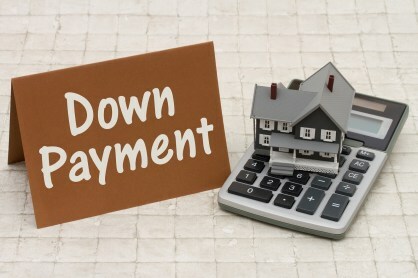 to annuity table + Down payment . So we have discussed Hire Purchase and Installment Purchase System : Meaning, Features, Types and calculation Formula. For any query comment below. 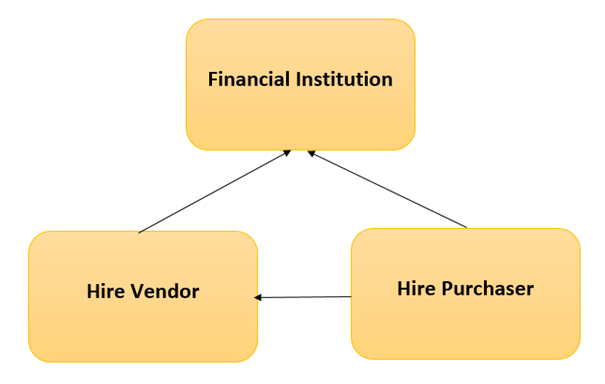 Accountancyconcept of hire purchase and installment purchase notes pdfConcept of hire purchase and instalment purchase system notes for b.com studentsconcept of possession and Repossession pdf.different methods of calulation of cash pricefeatures of hire purchasemeaning of hire purchasewho is hirer ?why hire purchase is advantages to both buyer and seller?